I do not often get an opportunity to wander off on my own these days to fish. It just seems as if there is always something that needs to be done... so today I decided to head out onto the marina and see what I could catch. The ice was over a foot thick, which meant it took me a while to drill the hole and get all set up, but when I did it was well worth my efforts. The sun was shinning, air was crisp, snow crunched under my feet as I watched my bobber bounce on top of the green tinted water in my hole. I had found peace... and oh what a wonderful feeling that was. Zachary (little jigger) joined me for a bit and managed to catch himself a smelt... which of course I insisted on him keeping and cooking... only because he wasn't really thrilled with them last time. This time we removed the bone head and tail and he was much happier, however I don't think I will be cleaning a smelt again for him like that. After a little break in fishing to enjoy some company I headed back out to the hut with my brother Sonny... only an hour before dinner would be ready it was a nice little break which yielded me lunch for tomorrow. I have never eaten a crappie, so I figured it was about time I see what all the fuss is about. Looks like the kids are getting hooked on fishing! Hope everyone had a great weekend as well! Allthough it was only a short time i had fun,,,can't wait till the next time!! Smelts...yyyyuuummmm, reminds me of my younger years, taking a bag of them to T-Lake (Rohphton, Ont) and frying them up with my friend...we were 14. Thanks for sharing Jen. Those are some nice looking slabs! Well Twilight, I will have to say we only caught one smelt... but since my son is just now learning how to fish I wanted to make a big deal about it... I am new to many varieties of fish, how to clean them, how to cook them, and what they taste like. So experimenting in filleting and cooking we do together... And all have been yummy, even the catfish. Making memories that will last a lifetime [email protected]! ....Sounds like the perfect day. Nice to see those beauty slabs. 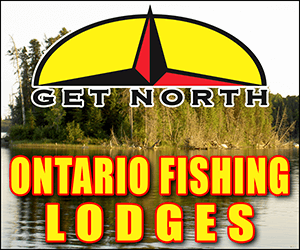 Will be fishing Big Creek just north of Caledonia as soon as the ice is off. I live in Hamilton and was amazed to find that my driveway for the first time in weeks was not covered in snow... There are some good things that come with rain! No skunking Jen a little fish for an appetizer.Quinte is coming. You'll have many sleepless nights dreaming about your next Crappie! I know I have. I've never eaten smelt or crappie before, but with names like those, no wonder some people wont try them...LOL. I may have already tried them if they were called "yummy" and "tasty". Great report Jen! Good to see you still getting out there when you can. All the more for us! Crappie are my favourite Ontario fish to eat. Walleye are a close second. that sweet, delicate white crappie meat, tantalizing the taste buds. Glad to hear you're getting the youngsters out there too. Love catching those crappie and there are time they are so hard to find, then JACKPOT! Didn't catch many last year and most of them were dinks. The best day was 100+ and kept only 10 decent slabs.